Rarely do my sambo (read: sahm-boo) and I have corresponding days off. My work keeps me busy Thursday–Monday, sometimes Tuesday and Wednesday, sometimes evening hours, etc. while he enjoys a standard Monday–Friday, 8:30–5:00. This means that what would be three-day weekends become celebrated Mondays-only holidays for the two of us. This Martin Luther King, Jr. Day we were determined to seize the opportunity to go adventuring together despite the cold, the snow, and the limited time only! special offered by our employers. We got started a little late as the day had to begin with a two-month late oil change. This meant we headed straight to the first food we saw upon reaching Red Wing’s Main Street. A straight shot from the 9-hr. free parking lot was a choice of a restaurant/bar in the basement of the city’s former Armory and Liberty’s. Tom’s only requirement after driving 1+ hour from the cities was “I need a beer,” and Liberty’s seemed to be able to live up to that requirement. 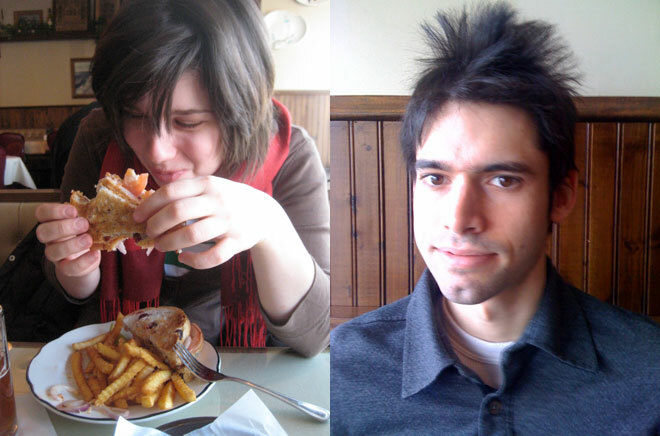 We had sandwiches and indeed a beer each—I a short and Tom a very tall. 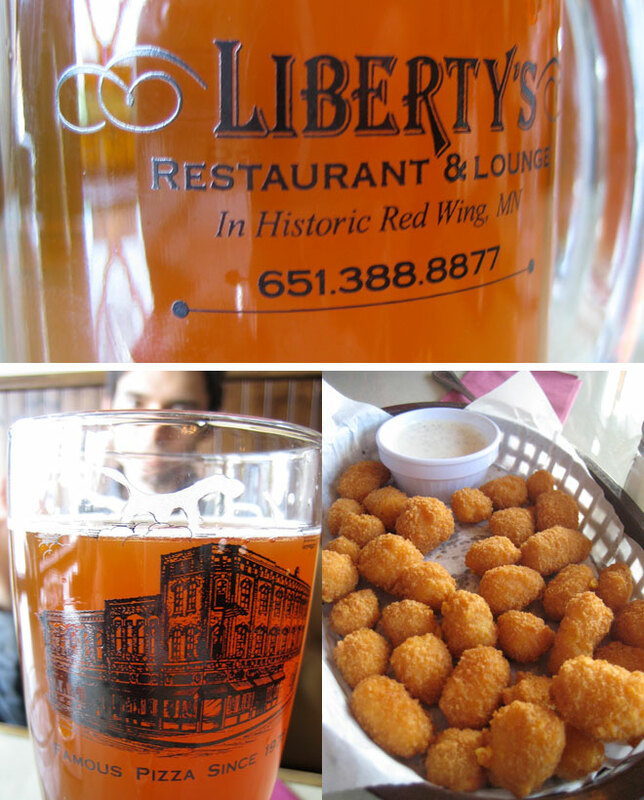 And, of course, being so close to Wisconsin we started off with a basket of cheese curds with the liberty’s “special” lemon-peppercorn ranch. We finished, declined dessert, and moved on. After lunch we wandered and found a number of shops closed, but I remained optimistic as I’d expected this. I expected this because it has happened before. That’s the trouble with taking daytrips on national holidays. We browsed the Scando-bric-a-brac at Uffda! and then found ourselves in an antique store. Either a good sign that he’s come around to shopping/antique gawking or a sign that the trip itself was uneventful and *maybe* a little boring, this was Tom’s favorite part of our visit. 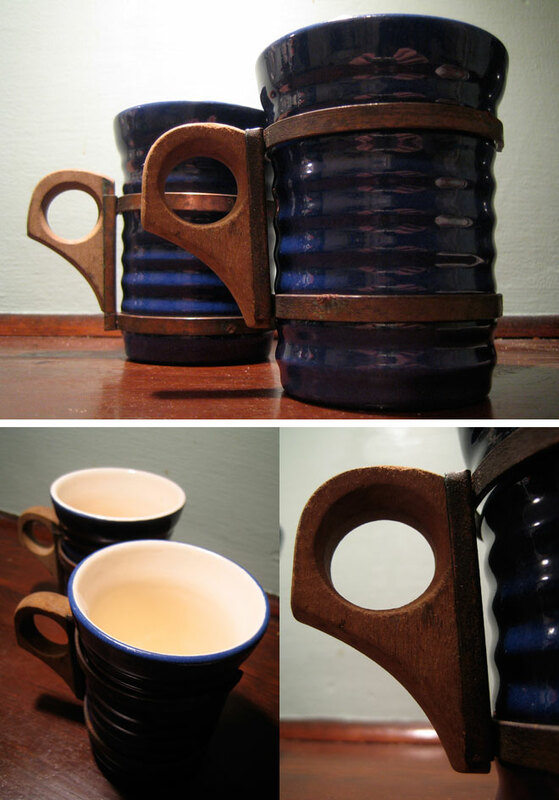 I purchased some antique Red Wing Pottery mugs in a lovely deep-blue as well as some long-forgotten lead type (an M and G specifically, $1 per!). In the basement level we separated, poking around and picking up various items. I noticed some cookbooks at one point and was very excited to find a portion of the TimeLife set recently mentioned in Bon Appétit magazine. Not only did I find part of the set, but the exact volume (out of 25+) that Tom said was the only one worth owning when I read him the article last month—Terrines, Pâtés & Galantines, for the low price of $10 (see link). He was especially excited to find when we got home that the book references multiple Elizabeth David recipes—the subject of his senior thesis in the Michigan State history department. Once through with the antique store, Tom wanted to sit down with his new find… so we headed to Lily’s for coffee and (I) found the pumpkin cake with cream cheese frosting too good-looking to resist (I was a little too full to enjoy it, though). Also too full, Tom did not eat his entire half as he’d begun to feel a bit ill from the earlier cheesecurd/pattymelt/beer extravaganza, but he did mention it reminded him of his mom’s applesauce spice cake, which is a big compliment indeed. I insisted that we were both beginning to feel sick from just looking at the very very very vivid photography of pigs stuffed with turkeys stuffed with chickens stuffed with rabbits in the book, so I made him put it away. This entry was posted by Martha on Monday, January 19th, 2009 at 8:10 pm and is filed under Travel. You can subscribe to responses to this entry via RSS. Wonderful Pictures. 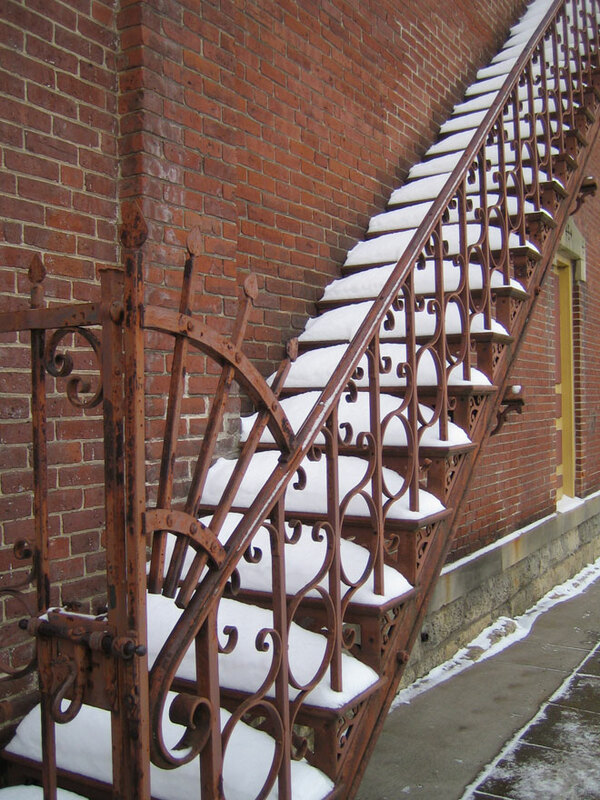 The stairs form a great composition. Glad you two had a great time away. Love your pictures, very arty.